Preheat oven to 400 degrees. Line cookie sheet with foil. Set a cooling rack inside the prepared pan and set aside. Dredge the bacon slices in the brown sugar and arrange the bacon on the rack. Pat any remaining sugar mixture onto the bacon. Bake in the preheated oven until crisp, about 20-25 minutes. 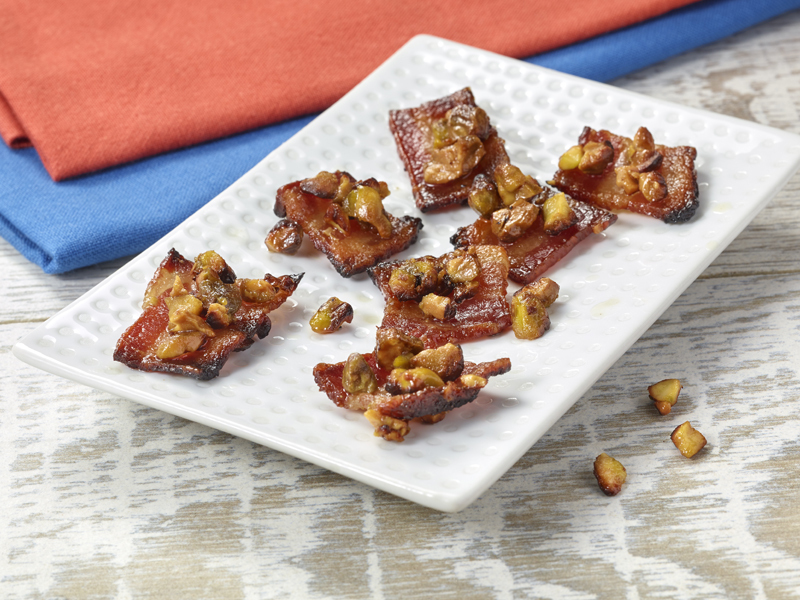 As soon as the bacon is out of the oven, sprinkle with the chopped pistachios. Cut in to bite size pieces and serve.